Almost all of our wedding guests are traveling in from out of town, and I wanted to make sure they would have welcome bags waiting for them when they arrived. It is so important to have welcome bags for out of town guests. In the past when I have traveled in for someone else’s wedding, it meant a lot to me when the couple took the time to put together something sweet for my (jet-lagged) arrival. Because of that, this project was important to me. And man, I am in my element. I recently told Mr. Heatherland I like pretending like I own a factory when I do this type of project. He looked at me like I was crazy, and I began happily stuffing goodie bags and wondering if I can hire employees for my make-believe factory. 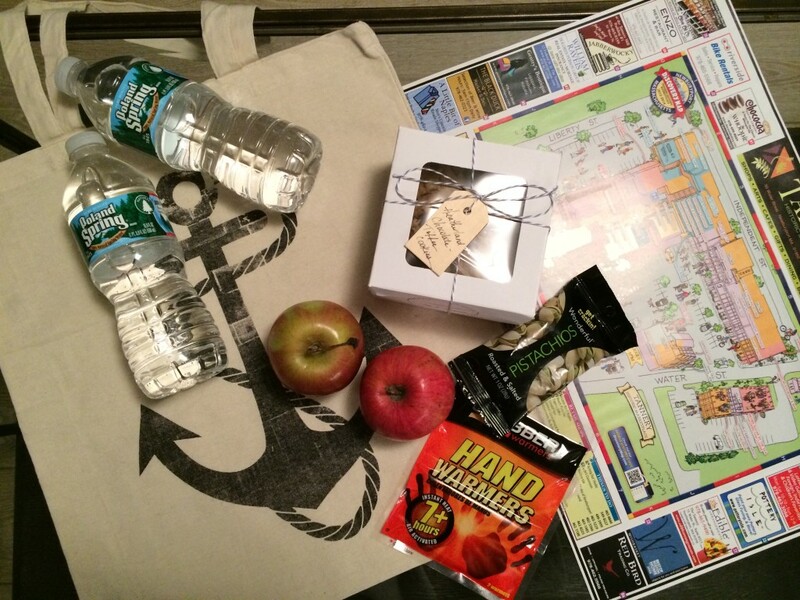 What’s In the Heatherland Welcome Bags? 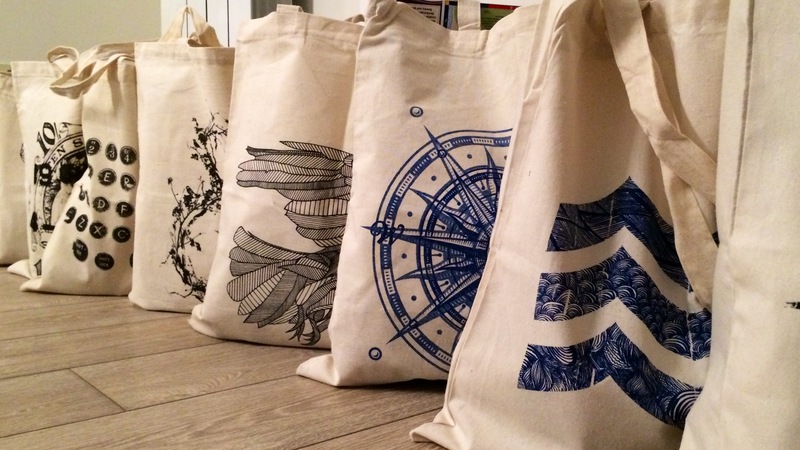 Reusable graphic print canvas tote bag- super cute find on Etsy. Box of special homemade Heatherland Cookies. I will be delivering these treats to a variety of hotels, kinda like Santa… Yup, like a crazy, spray tanned, heel wearing, bride-to-be Santa. Trust your gut and pick a dress that makes you feel the most beautiful you’ve ever felt- you’re (hopefully) only a bride once. Sticking to a budget for a wedding dress is much easier than people and the media may lead you to believe. My soup-to-nuts wedding wardrobe budget was $1000. In the world of bridal wear, $1000 doesn’t stretch very far, but in every other scenario, it’s a chunk of money that should buy you a very nice outfit. In my case, it actually bought me two nice outfits. Sure, it would have been better if I didn’t buy everything twice- but that would have been too easy. 1. Forgo the “wedding gown” hunt, and look for designers that make evening gowns in ivory, white, or bone. 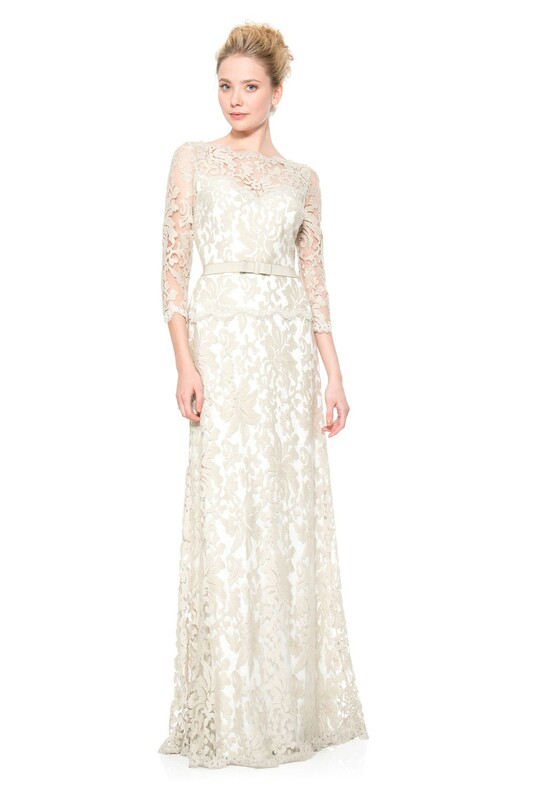 I highly recommend Tadashi Shoji and Nicole Miller. 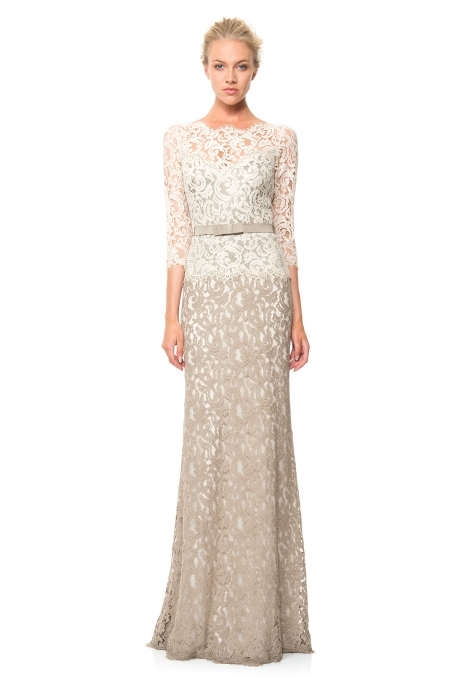 The right evening gown can instantly look bridal when you add a veil. 2. Speaking of veils, they are shockingly expensive for something so insubstantial. Unwilling to spend more than $50, I found both of mine on Etsy from a lovely woman named Connie. Her shop is called BellaBridalVeils. 3. Shoes that are “bridal” are so boring and matronly. I bought both mine from my new favorite website, yoox.com. They have plenty of options and interesting styles that aren’t easily found in the US. The magic of a great outfit is it will make you feel like its worth a million bucks no matter what it really cost. And yes, I felt like a million bucks. Wedding: Dress Distress, Part Five. It was safe to say that I had just lost all confidence in my dressmaker. I really did my best to be a good sport and try not to show just how disappointed I was while I was with her. Losing control of my emotions wouldn’t have made the situation better. During my drive home I filtered through my stages of grief and finally composed myself. Well, just long enough to walk in the door and have Mr. Heatherland ask me how it went. Then I started crying again as I told him the tale: my long, weepy, mistaken-alteration tale. I poured myself a big glass of wine…. Drank it…. Then poured another one…. Grabbed my iPad and brainstormed some of my favorite dress designers that possibly made bridal dresses or something that looked bridal to me. At $388 I added it to my cart and checked out within 60 seconds. But since it was an up and coming style it wasn’t available online. I called the Tadashi store in Las Vegas, spoke to a lovely woman named Sarah, who just received the dress I was inquiring about, but only in a size two. I figured it wouldn’t fit, but she assured me that with my measurements it should actually fit fine since they run big. So I bought it also, this one was priced at $408. The first one came, it was pretty but the color through the bottom was much darker than I had anticipated and the waist would have needed to be taken in. So I packed it up and shipped it back. The second one came a few days later and I loved it! When I saw myself in the mirror I instantly knew this was a dress I could get married in. I still needed to go to my follow up fitting with the dressmaker. It had been a week since I saw her, now two weeks before the wedding, and I was really hoping she worked miracles (considering I already bought shoes and a veil for it). When I got there the dress looked so much better than before and she found the bow! But I still a wasn’t loving the length. And she had started the lace top, but it just wasn’t right. The lace had no texture, no interest, it looked dated and made me feel old. At this point I no longer wanted to make this dress work. I lost interest. The backup dress I bought really was exactly what I was trying to get her to do. So in a long, round-about way, I ended up with what I wanted. I decided to wear my back up dress, and I wouldn’t be letting it out of my sight: no alterations, no pressing, nothing.